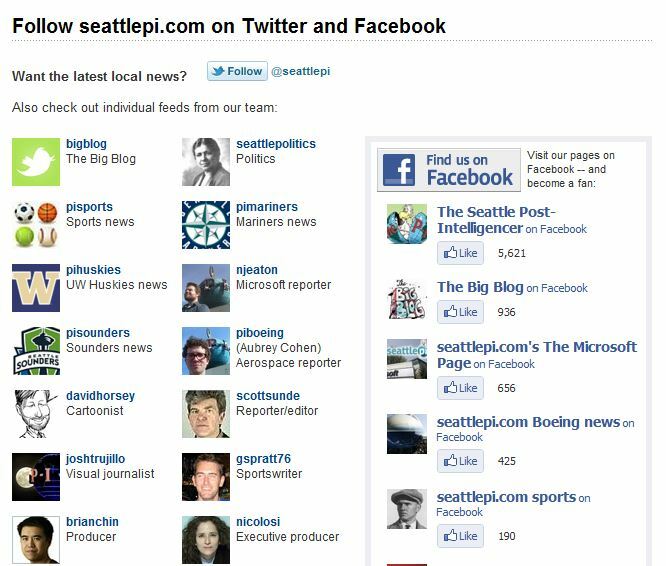 Site Name and Description: Seattlepi.com was the first major metro daily newspaper to go online-only in 2009. Their local staff of 20 covers politics, crime, sports and business. They also host a network of reader blogs. Design Overview: This site is busy and cluttered with advertising (like most news sites.) It has two rows of top navigation with links to various news sections. It has a main story and photo featured in the center of the page and two rows of smaller photos with links below. There is a column of “latest news” and then a separate box tabbed between Most Read and Most Commented. The individual news sections linked in the top nav are broken down in more detail at the bottom of the page. Audience: Seattle and Puget Sound residents, especially those who were former PI subscribers and have loyalty to the publication. Business/Site Goals: Generate revenue through advertising and provide localized news coverage as well as syndicated content. Social Media Integration: There is a “Follow us” section that includes Facebook, Twitter, Email and RSS links, and a social media page with links to Twitter accounts for all the reporters, as well as a Facebook widget. 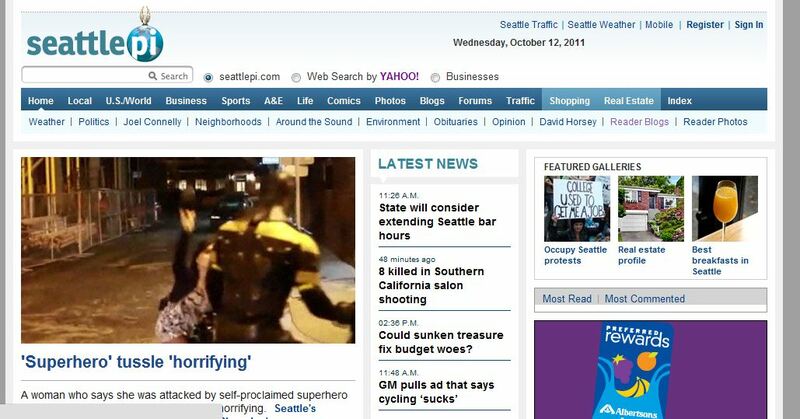 How is Seattle P-I Doing, One Year Later?